Professor Joseph Crespino published the following article in The New York Times on July 16: “”Go Set a Watchman,’ released to much fanfare this week, may have been an apprentice work for Harper Lee’s classic 1960 novel, ‘To Kill a Mockingbird,’ but, in a way, the earlier book seems more sophisticated. It offers a subtle and surprising exploration of racial politics, and not merely because of the racist comments of Atticus Finch, one of the most beloved figures in American literature.” Crespino is the author of Strom Thurmond’s America (Hill & Wang, 2012). A graduate of Emory and former history major, Alexander Colonna is now an acute care surgeon at the University of Utah. He is also completing a Master of Science in Clinic Investigation, with a thesis/project titled “Measuring Sleep in the Surgical Intensive Care Unit.” Among his responsibilities is leading in the teaching of 4th year medical students that do sub-internships at the University of Utah. Alexander’s eldest son turns 6 in November and is starting kindergarten next week. His daughter just turned three, and his youngest is now four months old. He became a Fellow of the American College of Surgeons last year. In addition, he is in the Army Reserves and has served in Iraq in 2011 and Afghanistan in 2013. Alexander’s wife Sarah is also faculty at the University of Utah, currently serving as a clinical instructor in the Oncology department. Soon to be promoted to assistant professor, she is in the MSCI program but will be finished with it this academic year. Alexander and his wife are busy but couldn’t be happier! James V.H. 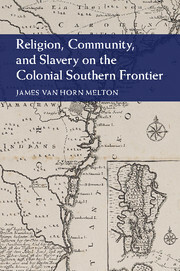 Melton, Professor of History, has published a new monograph with Cambridge University Press titled Religion, Community, and Slavery on the Colonial Southern Frontier. See below for a description of the new work. Dr. Leslie Harris will speak at the Georgia Archives’ upcoming “Lunch and Learn” lecture series. Harris will discuss Slavery and Freedom in Savannah, co-edited with Daina Ramey Berry and released on the University of Georgia Press in 2014. The volume won the Georgia Historical Records Advisory Council’s Excellence in Documenting Georgia’s History award. More information about the event can be found here. Dr. Clifton Crais took the prize for Author of the Year in the Memoir/Autobiography category from the Georgia Writer’s Association. 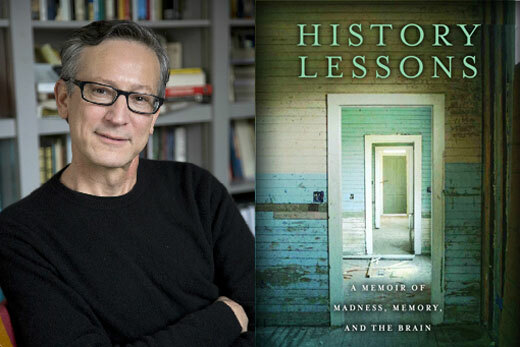 Crais’ History Lessons: A Memoir of Madness, Memory, and the Brain was published by Overlook Press last year. Learn more about this year’s Georgia Author of the Year prizes here. Assistant Professor of History Dr. Elena Conis was quoted in the NPR article “In Bid for Stricter Vaccine Rules, Officials Grapple with Decades-Old Distrust.” Conis provided historical context for debates about vaccination, a hot-button issue today in places throughout the country. Conis is the author of Vaccine Nation: America’s Changing Relationship with Immunization.